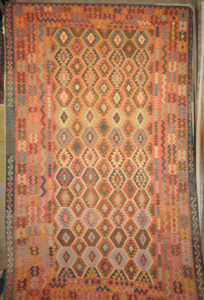 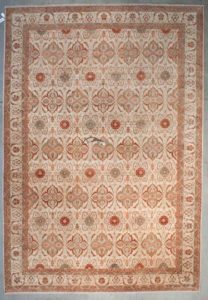 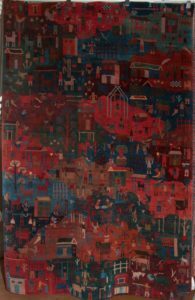 Antique Navajo Rug with lovely all-natural dyed coloring. 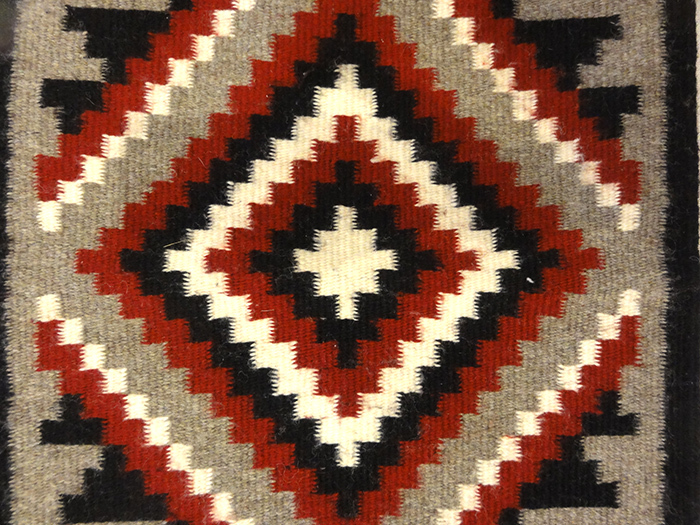 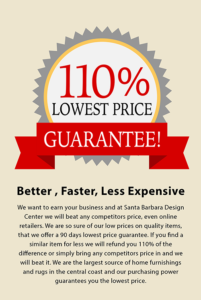 Navajo textiles are highly regarded and have been sought after as trade items for over 150 years. 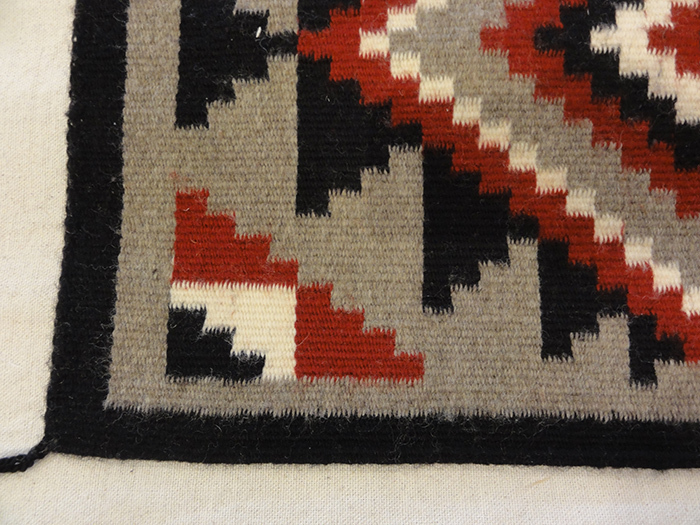 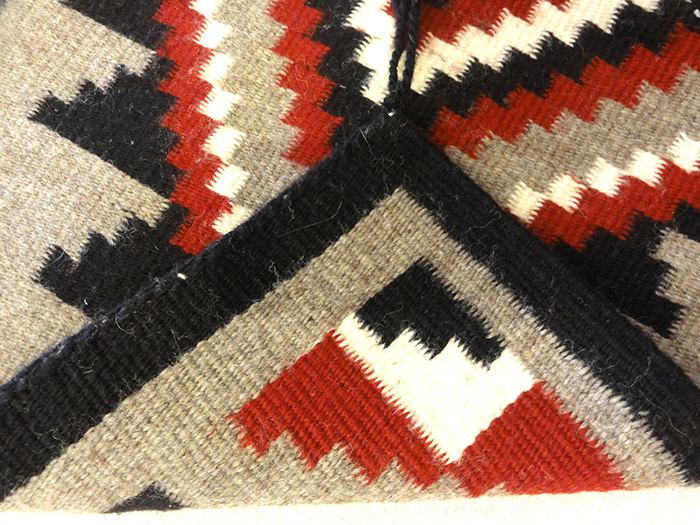 Navajo textiles were originally utilitarian blankets for use as cloaks, dresses, saddle blankets, and similar purposes. 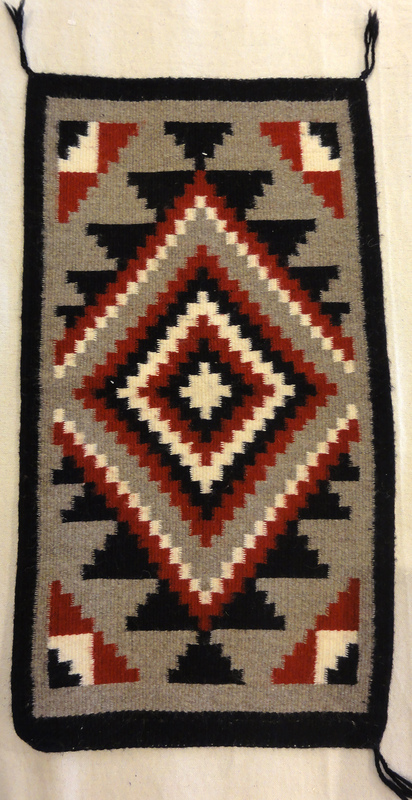 Hand-spun wool from sheep animals was the main source of yarn for Navajo blankets until the 1860s.